A beautiful naturally lit, medium sized meeting and conference room with the capacity to seat up to 130 delegates (theatre style). 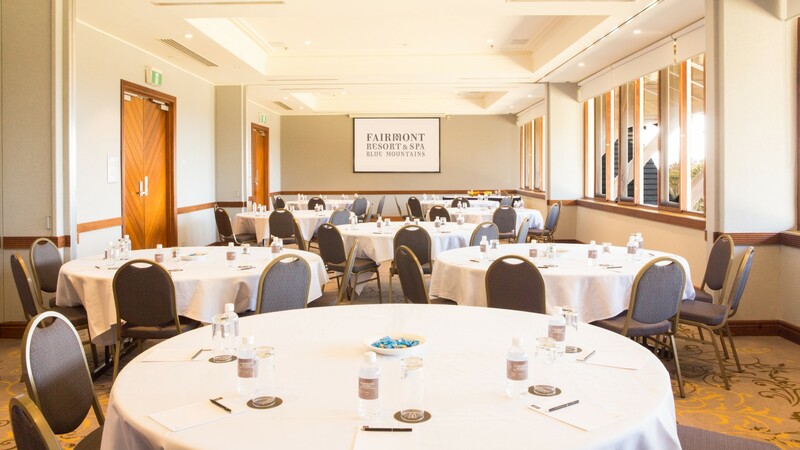 Take in the spectacular Jamison Valley views for an inspiring meeting space. Governors is pillar-less and flexible, as it splits into 3 smaller rooms; Phillip, Bligh, and Macquarie (which can also be combined).